An exploration of how microbes are transforming the way we see nature and ourselves?and could revolutionize agriculture and medicine. 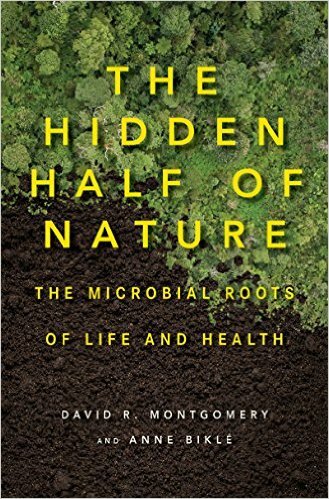 In this transformative read, David Montgomery, a professor of earth and space sciences, and his wife, biologist and environmental planner Anne Biklé, unravel the universe of microbes that make dirt fertile and allow us to digest food. Mr. Montgomery and Ms. Biklé provide a thoroughly readable mishmash of topics that manages to unite soil science and diet in The Hidden Half of Nature, and tie things together in a feel-good message about the future. They miss the larger truth of life, however, because whether microbes are multiplying in the soil or going gangbusters in our guts, they are everywhere and will outlive us by an eternity. 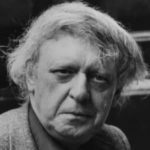 [Montgomery and Biklé's] excitement about the microbiome is undoubtedly justified: Its discovery calls into question all manner of underlying assumptions about the nature of disease, our relationship to the natural world and even what it means to be human. But too often, their defense of the microbiome reads like a cross between a regurgitated college textbook and the promotional copy on the back of a bag of compost. What did you think of The Hidden Half of Nature: The Microbial Roots of Life and Health?